I went to town (birmingham city centre) yesterday with the hope of finding a badass outfit for my blog at UrbanOutfitters. I also wanted to find a new 'signature' perfume (something i've been rambling on about on Twitter for yonkzzz) however, i didn't really find anything that i wanted as i usually 'prep' myself by finding inspiration on the streets of Birmingham; which usually means i will go to the Custard Factory, AmericanApparel,Topshop or urban areas around Edgbaston. - I was disappointed to find that no one really impressed, i mean, i don't mean that in a bad way, (i saw a girl who actually tye dyed her check shirt - it looked pretty awesome) but unfortunately no one really stood out for me.. Its weird because no one inspires me in Birmingham like they do in London. Ok, to be totally fair, there was one girl with light violet hair, two inches of roots (i'm flippin loving roots right now) huge and i mean HUGE platforms (i think they were miista platforms), a leather skirt and a cropped 90's grey t-shirt working in Topshop who caught my eye, other then that i don't really think anybody in particular stood out for me.Anyway, i didn't get an outfit but i did purchase two items from Urbberzz.. a make up bag that i've been longing to buy since i saw it on the website last month, and then a nail varnish for good measure. I was well happy because the total was suppose to come to 16 squid, however (...and i have no idea why) but he charged me 11 pounds. He was pretty cute too, but hey.. 11 pounds was good for me! It was my student scuffed pony that made him second guess that i'm a student because that still wouldnt be 10 per cent! ...I then had enough dollar for a frappa from Starbucks which i was totally enjoying more then ever before. 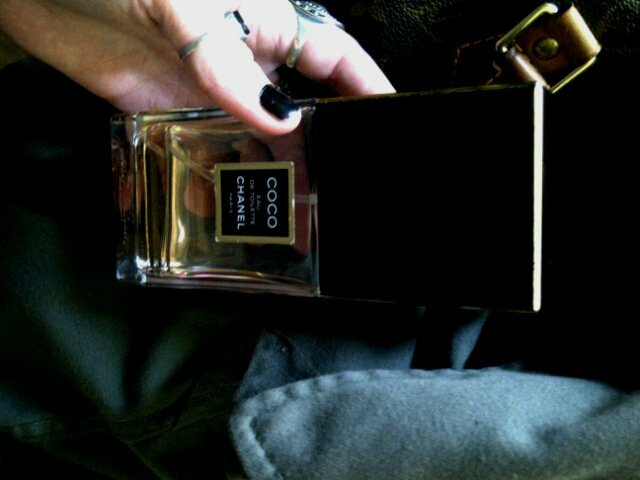 Moving swiftly from frappas to Coco Chanel which is currently my 'signature' perfume. Although i only bought one bottle (at the costly price of 76 pounds) i've decided, because i'm a student bum, i need a new perfume that i can buy when i run out without any problems! I will miss you though Coco, so i have decided whats left in the bottle will be saved for very special occasions. I literally spent about two hours trying to find a new perfume and it was hard because they all started to smell alike towards the end as the fumes began to store in my nostrils.. 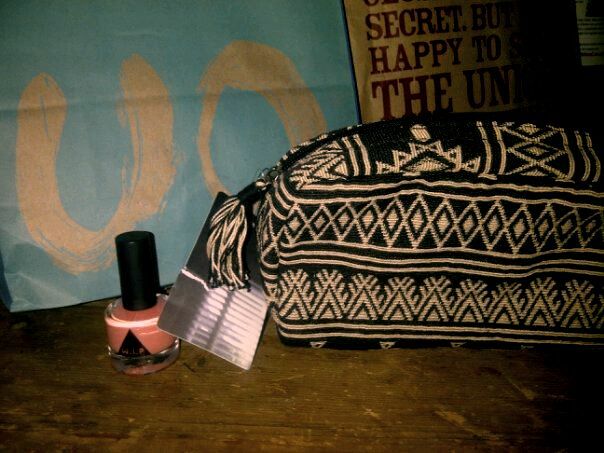 However, i ended up trying to pick between two.. Which brings me nicely to my next post!